InterGlobe Freight Solutions Ltd. had its inauguration last week at its head office 281 R.A. De Mel Mawatha, Colombo 03. 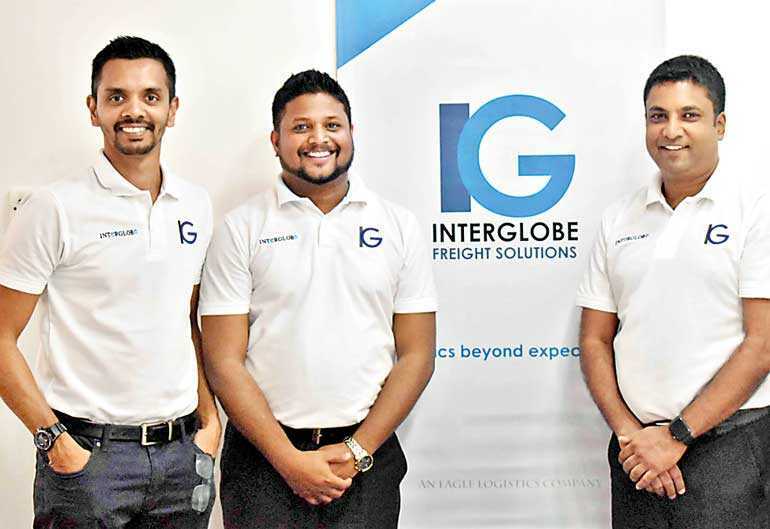 InterGlobe Freight is a partnership between Eagle Logistics Colombo and Kanchana Ekanayake who has over two decades experience in freight and logistics. This partnership is expected to add a new dimension to the logistics and supply chain industry by creating innovative and effective freight solutions to their customers. Ekanayake further mentioned that InterGlobe is expected to create opportunities to their customers to experience visibility across the globe. InterGlobe Freight is a member in several freight forwarding networks and shipping associations, which are giving it the advantage to have global coverage through the network, anywhere in the world.